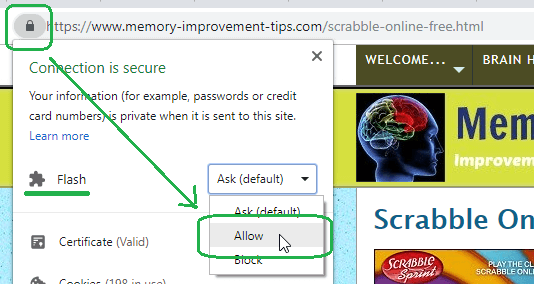 UPDATE (04/10/19): As of today the free Flash-based games such as Scrabble Sprint are still working. 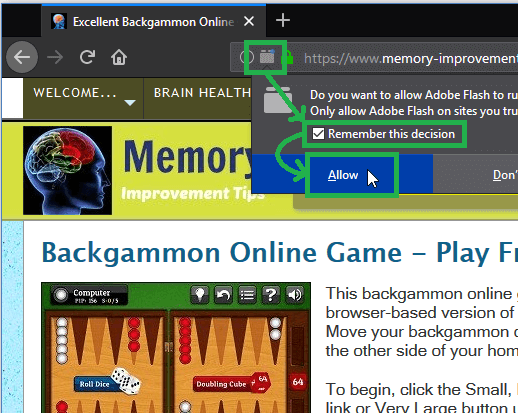 In Google Chrome, to open the games you must now re-allow the Adobe Flash Player for my website every time you re-open Chrome. 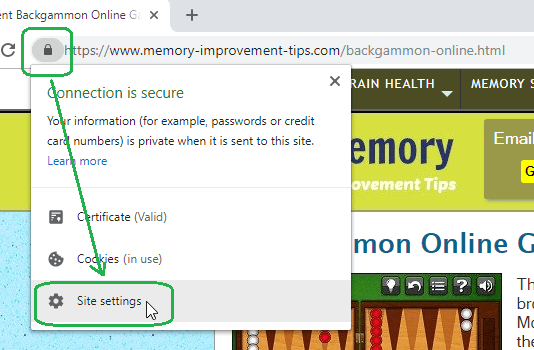 The easiest way to allow Flash for my site in any browser is click the red rectangle under the "Free Online Brain Games" heading in the sidebar at right. This should open a pop-up message asking whether you want to Allow Adobe Flash. See below for alternative methods for allowing Flash. REMINDER: The free HTML5 games are not affected by any of this. They should all work fine without having to fiddle with any settings. What Is Going On with Flash Games? You may have noticed it is getting trickier to open the Flash-based games. This is by design of the browser companies. Through this year and next (2019-2020), the major browser companies will restrict Adobe Flash more and more. They are coordinating together to remove Flash from the web entirely. Near the end of 2020, the Flash games will stop working completely. This is not what I personally would want to see happen. Unfortunately it is out of my control. The browser companies have their reasons. I will do my best to keep the Flash games going as long as I can. And all is not lost. The HTML5-based brain games are not affected by the slow death of Flash. HTML5 is a different, newer technology. It is enabled in your browser automatically without the need for a plug-in. HTML5 online games should work long into the future. So there will always be free online brain games for you to play on this site. LATEST: FIREFOX QUANTUM (03/24/19): The following screen image shows how to activate Adobe Flash for my site in Firefox Quantum. 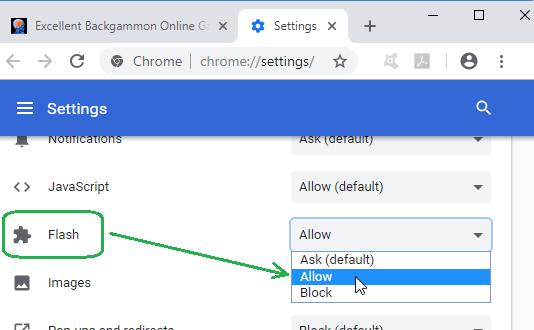 For instructions for Google Chrome, please scroll down. The image above shows Firefox Quantum v.66.0.1 (64-bit), the most recent version of the browser as of today. LATEST: GOOGLE CHROME (9/20/18): As of version 69 of Google Chrome, to play the Flash games you must re-allow the Adobe Flash player every time you close and re-open the browser. The "always allow" feature is gone. The following screen image shows how to quickly re-allow Adobe Flash for my site in Google Chrome. After you "Allow" Flash, a "Reload" button should appear. Click that button. This reloads the page and makes the Flash player active. The Flash-based games on my site should then open for you. At this point a "Reload" button should appear near the top of your browser. Click that button to refresh the page and activate the Adobe Flash player. You should now be able to open the Flash-based games on my site.